Public Services International is looking for a Regional Secretary for African and Arab countries to lead the dynamic regional team in developing plans and implementing activities to meet PSI’s objectives. Experience with trade unions in the region, as well as knowledge of the politics, are key requirements. Working from our regional office in Lomé, Togo, the successful candidate will help PSI affiliates build powerful networks and alliances to influence national and regional policies affecting their membership, with a focus on our core sectors: health and social services; local and regional governments; utilities; national administration; and education support and cultural workers. Fighting violations of labour rights is a top priority, which will require innovative campaign tools. The Regional Secretary will also manage PSI offices and budgets and oversee trade union development work. The position is challenging and requires applicants with the desire to make a difference, the drive to succeed, the ability to lead and the humility to learn. Excellent English and French required and Arabic a plus. International travel required. 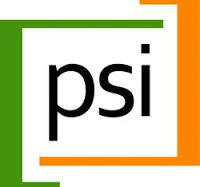 PSI is a Global Trade Union Federation representing 20 million public service workers in 670 affiliate unions from 160 countries. We defend trade union rights and universal provision of quality public services. Click here for more information, including the detailed job description and skills required for the position.